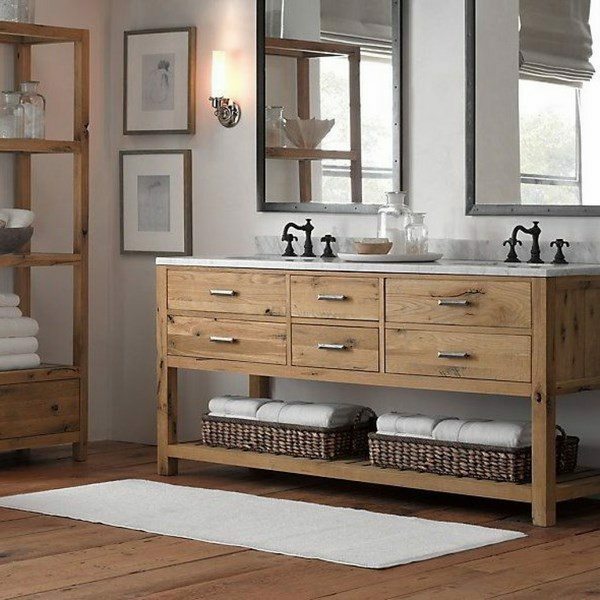 Rustic bathroom vanity cabinets are suitable not only for interiors in the style but can be used in Shabby chic, Provence, Mediterranean, farmhouse, even Industrial designs. 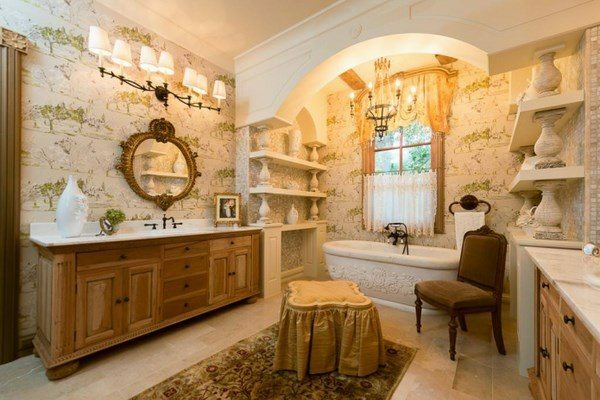 Some people prefer vintage furniture pieces, others opt for artificially aged ones or new ones but no matter what you choose, the vanity should work with the overall design concept and the interior elements in the bathroom. 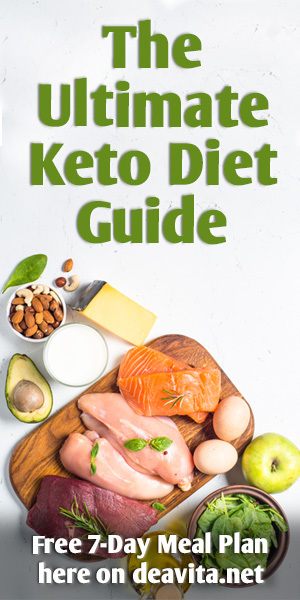 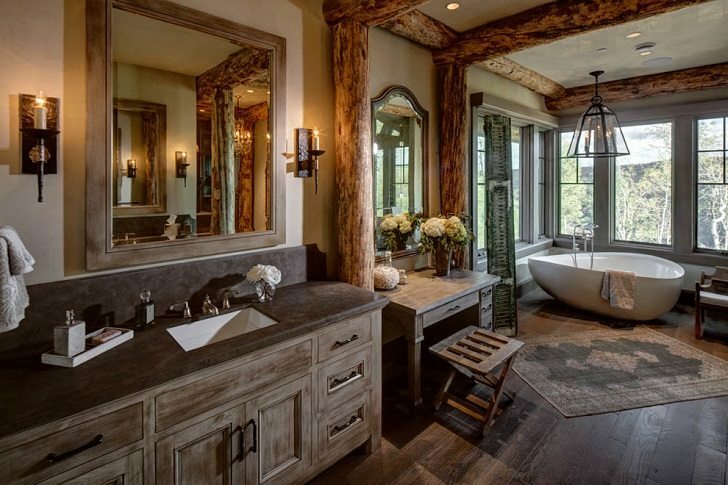 When you decorate a home in rustic style you need to follow the rules and principles, choose the materials, typical for the style, as well as the color palette, textiles, finishes, lighting fixtures, decorative items and accessories. 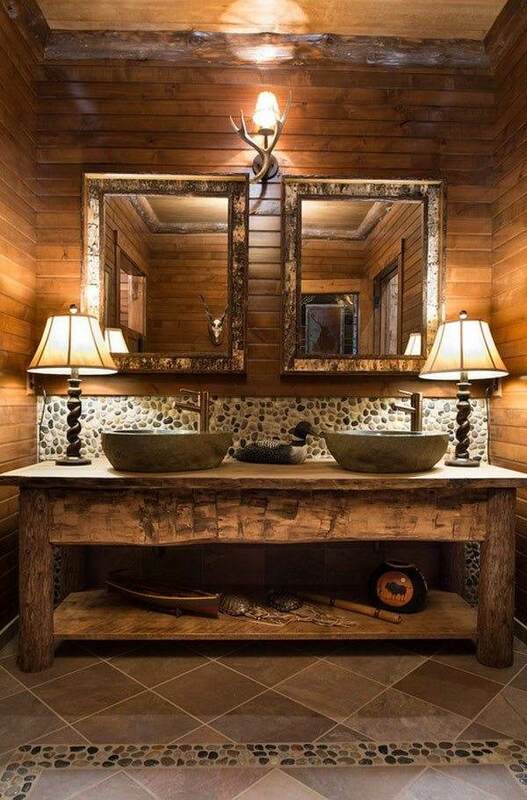 Lack of pomposity and pretentiousness, functionality and simplicity are the main characteristics of rustic style so the whole design concept needs to be based on these features. 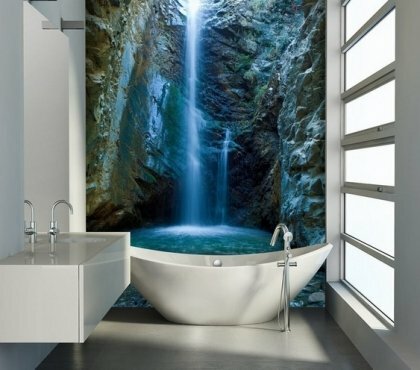 The interiors are simple, cozy and comfortable and the bathroom should be decorated and furnished in a way which conveys the calm atmosphere. 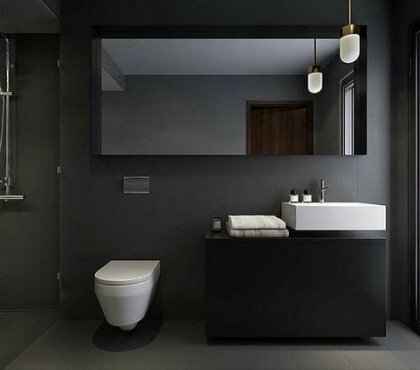 Speaking about the decoration of the bathroom, it should be noted that it is characterized with straight lines, natural materials and furniture pieces which perform a specific function. 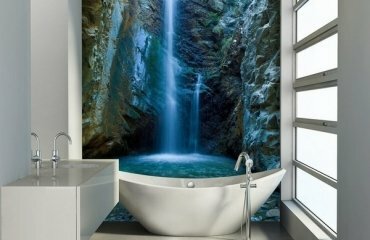 The variety of textures interior in the interior creates a sense of confidence, stability and tranquility. 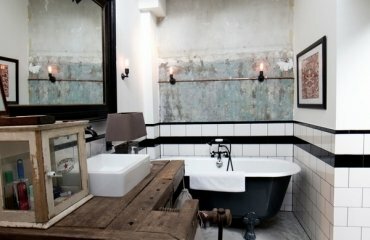 The furniture has a simple facade, and is made of wood and in modern bathrooms decorated in rustic style – materials imitating wood. 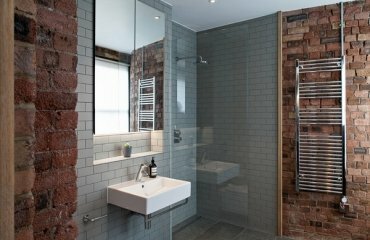 Avoid gloss finishes as they are not typical for the style. 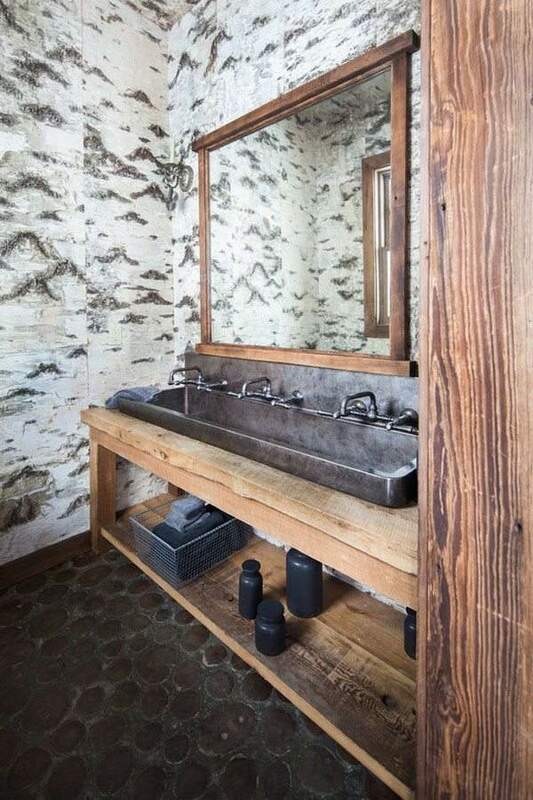 For an authentic look, you may choose a rustic bathroom vanity with a worn out appearance, having scratches or even chipping are a suitable choice. 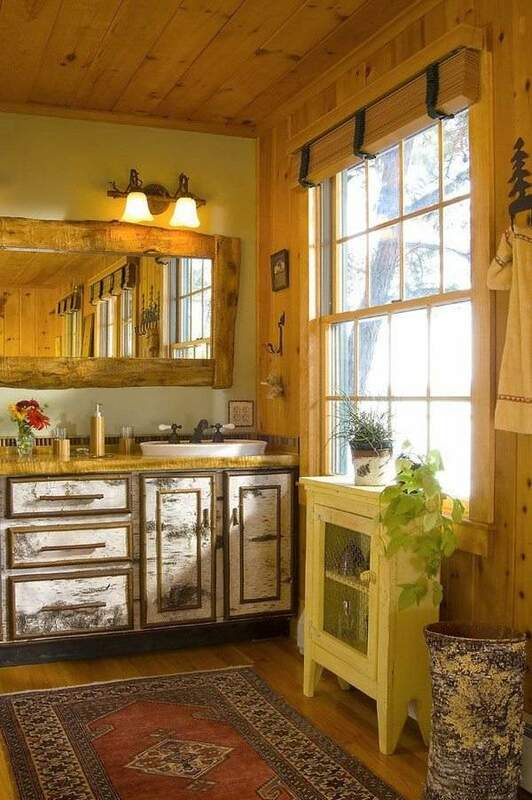 How to choose rustic bathroom vanity cabinets? 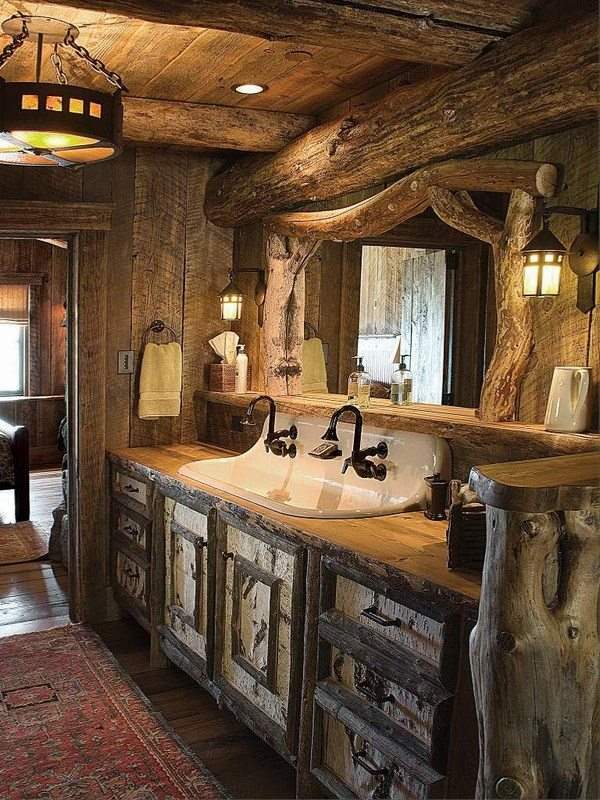 When choosing a rustic bathroom vanity you need to keep in mind a number of considerations. 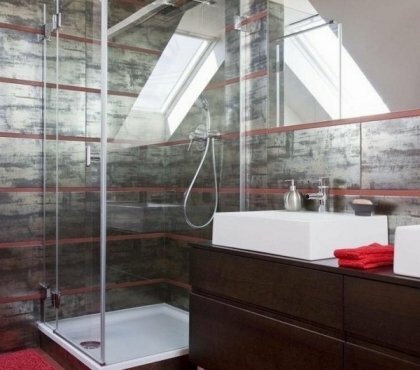 On the first place, you need to measure correctly the available space for your vanity as this will determine its size. 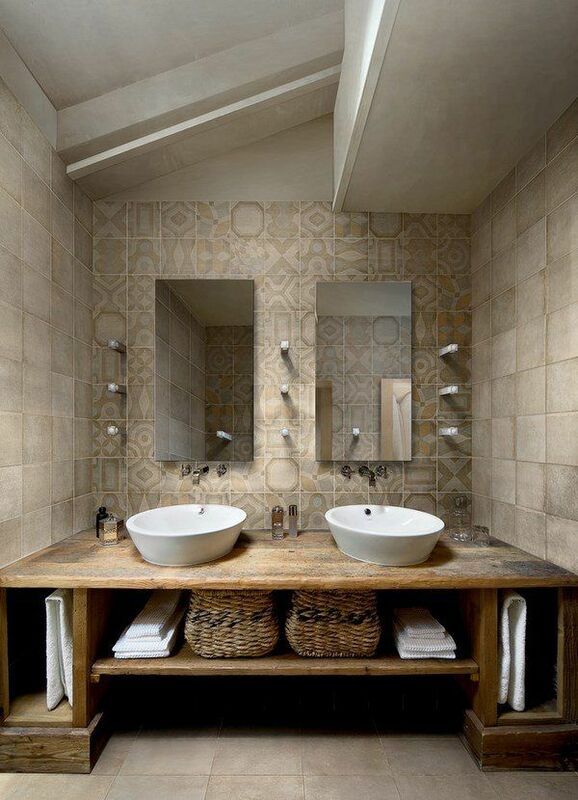 Depending on the available space, you can choose a vanity with one or two sinks. 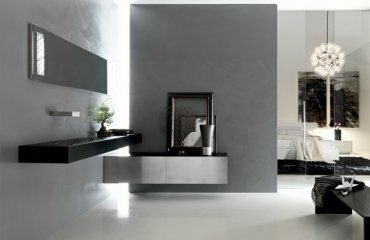 Think of suitable faucets which will work with the design as well as the sink options. 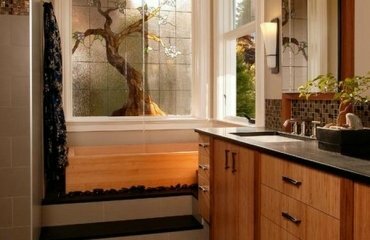 Some people prefer stone vessel sinks, other choose copper or ceramic sinks and the market offers quite many options. 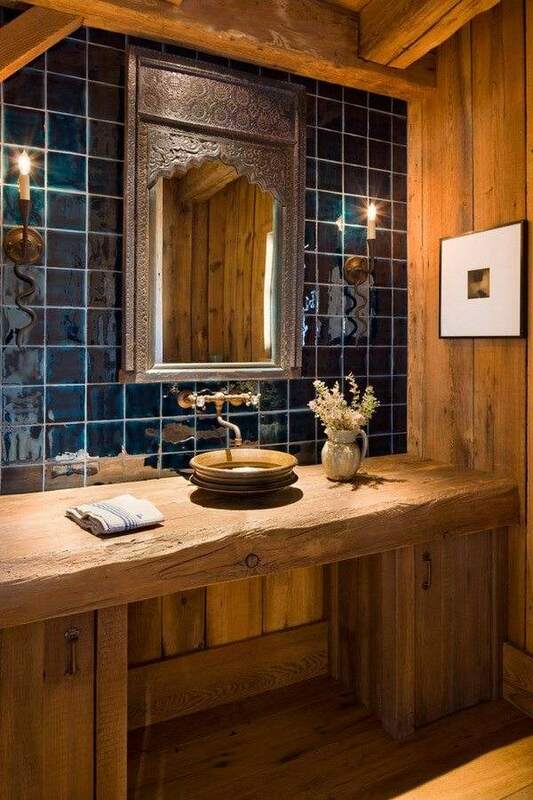 Think of the material of the vanity cabinet – wood is, of course, the typical material, but you can choose from different species, salvaged or reclaimed wood, barn wood, you could even re-purpose furniture pieces and equip them with salvaged fixtures and fittings. 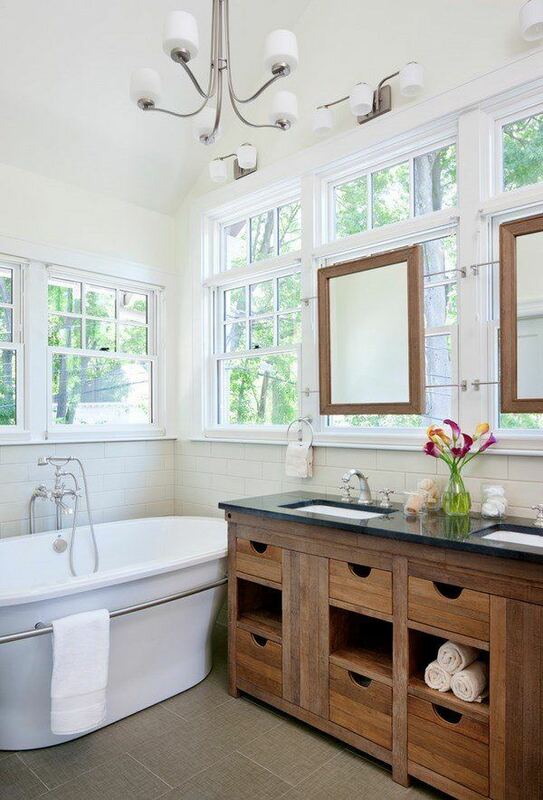 Solid wood is more durable than composite materials, and in a bathroom, where moisture and humidity levels are high, you need a durable material which shall not be damaged over extended use. 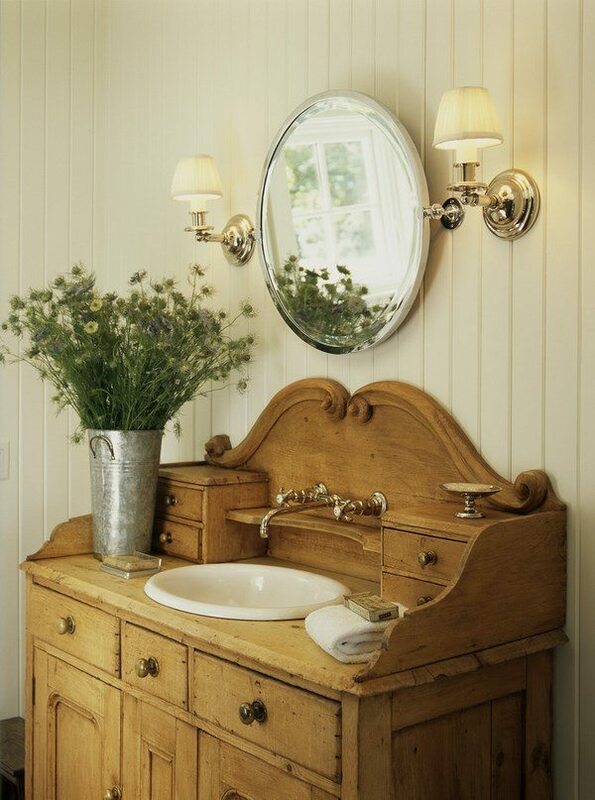 Teak, oak, pine or cherry are durable and aesthetically attractive. 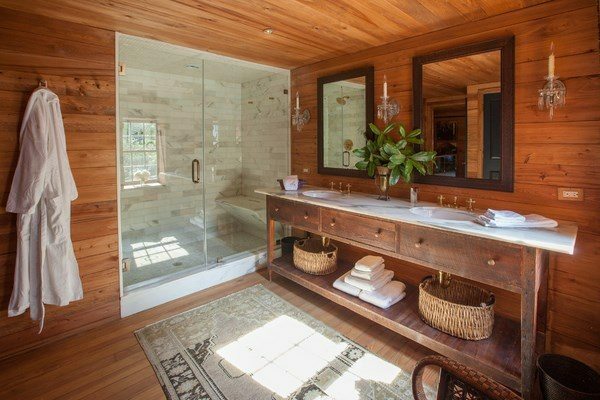 Make sure that wood is properly sealed. 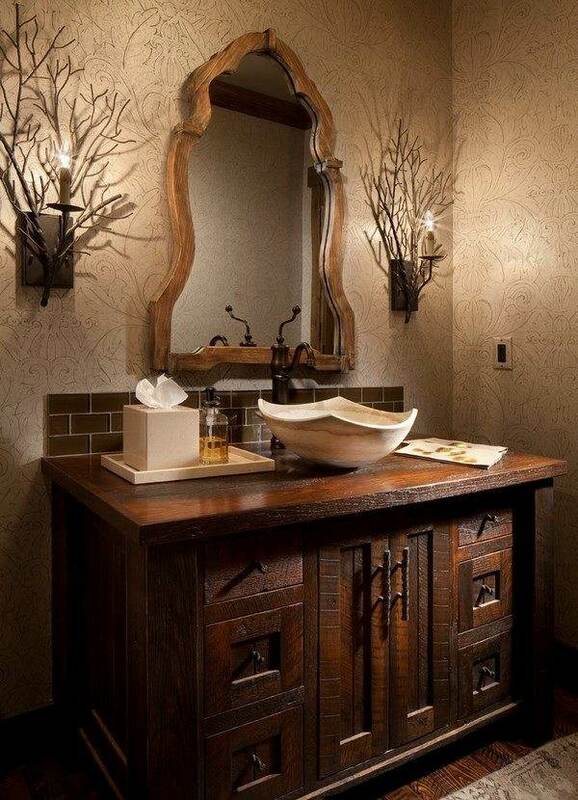 When you choose a vanity cabinet for a rustic bathroom, you need to consider a suitable countertop. 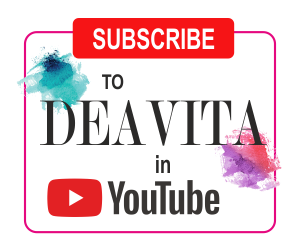 Natural stone, granite, marble or solid wood will complement the interior and you can choose the one that will work with the color scheme in the best way.